I test drove the back earlier today for the first time in two months. 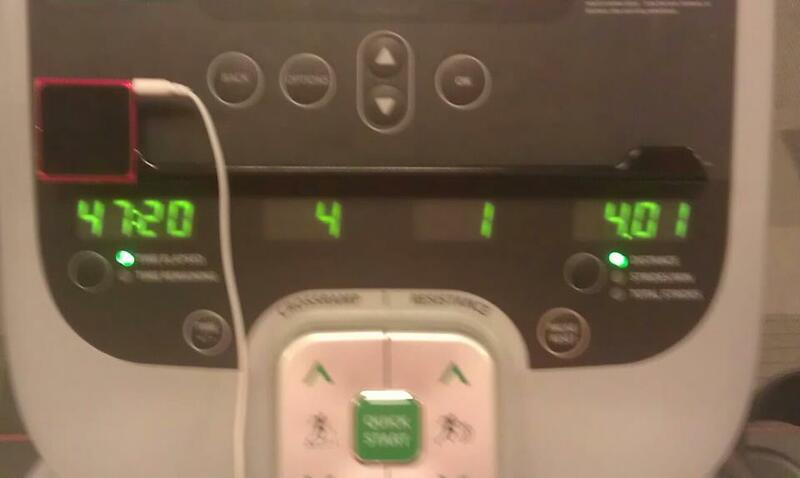 I ran a mile sometime around noon, and waited to see if it'd implode. It didn't, so I ran 4 more miles at 7 pm, then went home to ice my neck/back (as preventative measures). This is the first time since November 30, 2011/since herniating a disc in my neck that I've been able to run. Not exceptionally fast, not exceptionally challenging (a 4 incline at 1 resistance for the whole distance), but it's something. My legs and lungs remember how to run; let's hope my neck and back remember how to recover. So gald you were able to go but that you took the good measures to take care of yourself. Oh yeah--I'm petrified of reinjuring my back. Hope you feel wonderful tomorrow!! Good thoughts going your way. Thank you, Val! Feeling okay, but still cautious. I feel good -- but I don't want to jinx myself here. There will be ice and stretching today. I'm so glad to hear that you were able to do that! I hope that it does signal the start of recovery for you. Kendra: If anything it means that i'm starting to confront the fear that i might not be able to get back to the feats I was pulling last year. But that i still have a journey in front of me.